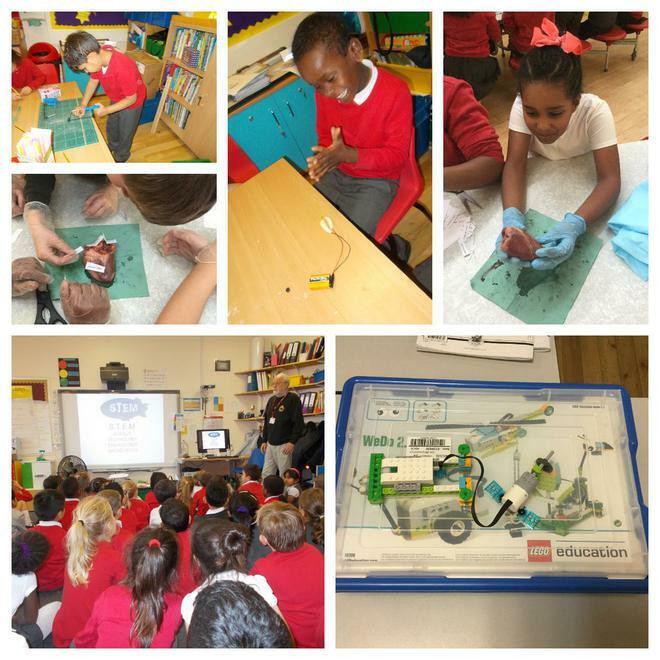 STEM week took place from Monday 6th to Friday 10th November and the week was full of activities, experiments and investigations. Some of the highlights included Year 6 dissecting a heart, Year 1 creating a dinosaur egg, Year 2 learning how to make a circuit out of playdough and Year 5 making hypotheses all related to great scientific discoveries. We had Cyril Molony, a STEM ambassador who was labelled educationally illiterate at 16 but went onto achieve great accomplishments including being one of the engineers who worked on the first MRI scanner, come into the school to work with different year groups. We also had Dr Giles Camplin come in to work with Year 2 and Year 3 and he is a professional air balloon pilot and the director at Airship Heritage Trust. Both speakers really inspired our children and having had such a fantastic time at the school, Giles and Cyril want to come back later on in the year and work with the children on more projects. I would like to thank the staff for a fantastically organised week. The children have been buzzing with excitement and it is great to see them so inspired by their learning and the Governors who came in throughout the week, were very impressed with what was taking place in the classrooms.